In between selling iPhone cases (yes, really) and paying for product placement on the latest season of House of Cards (yes, really), OnePlus seems to have achieved something rather cool on the software front. They've partnered with Canonical, the people who make the popular Linux desktop distribution Ubuntu, in order to bring the mobile version to the original OnePlus One. Neat! OnePlus made the announcement on Google Plus. 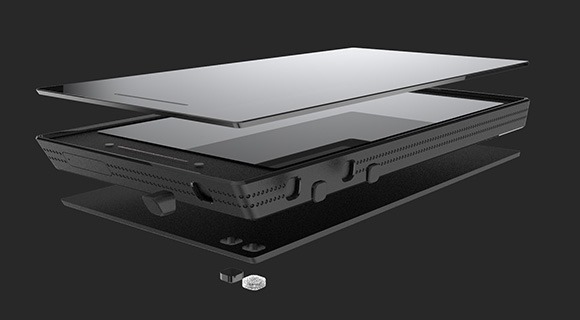 After an eye-popping pitch for a futuristic, dual-booting smartphone-desktop hybrid, the Ubuntu Edge secured the world record for crowdfunding on August 15th, with $10,266,845 pledged. It's since been boosted up to $12.8 million, but unfortunately, that's a far cry from the $32 million that the Canonical company asked for. The Indiegogo campaign has failed, no sponsors will be charged, and no money will be collected. 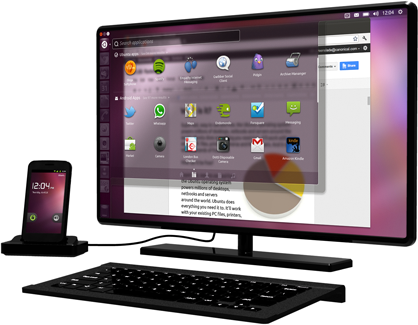 Say what you will about Canonical and founder Mark Shuttleworth's outlandish goal, but the conceptual hardware and software for the Ubuntu Edge is the stuff that smartphone dreams are made of. A unibody chamfered metal housing, a synthetic sapphire screen, 4GB of RAM and 128GB of storage are among its highlights. 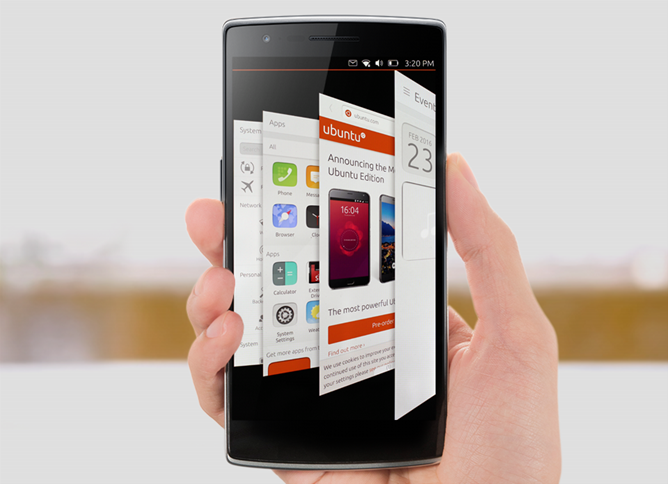 So, the folks at Canonical have been talking up their Ubuntu smartphone platform for a little over six months. Today they revealed their ultimate plan to revolutionize the smartphone world, a fantastic Death Star of a concept device: the Ubuntu Edge. 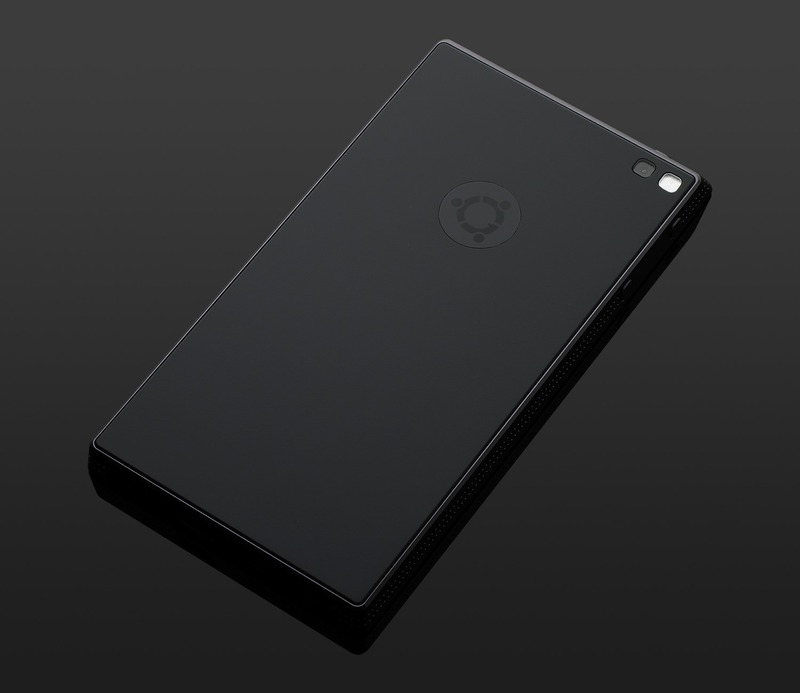 It's a beautiful slab of metal that features some of the most outlandish mobile hardware ever seen, it runs Ubuntu for smartphones, doubles as a dockable ARM-powered desktop, and dual-boots Android. And all you'll have to do to get it is fork over thirty-two million dollars. As if we weren't excited enough after the initial announcement, seeing it in action really makes us want to get our hands on this and give it a whirl. Anyone at Canonical ready to hook Android Police up with some beta software? On a side note, anyone happen to notice that all of the screenshots on the official Ubuntu for Android page display 12:04 as the time? Imagine carrying a full desktop computer in your pocket. We're not talking about that crippled Webtop crap from Motorola, either. We're talking about a real desktop OS built in to your smartphone. 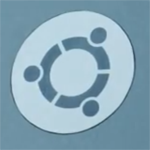 Canonical, the company behind Ubuntu, wants to make that happen. Soon. 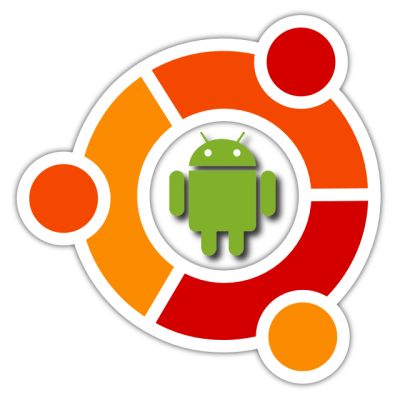 Ubuntu for Android is something that we've only dreamed about up to this point - one device to rule them all, if you will. In your pocket, it's an Android-powered smartphone. Not just any smartphone, either - it's your smartphone. Pull it out and drop it in a docking station, though, and it becomes a full workstation powered by Ubuntu, complete with monitor and keyboard.